Recently send sms are visible here. 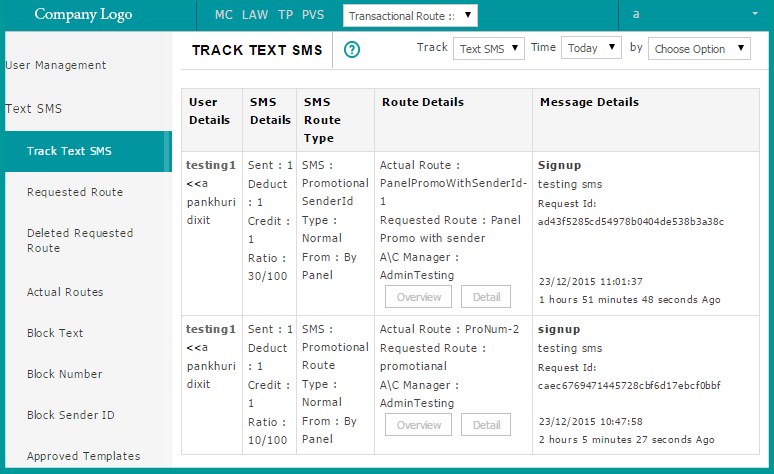 Get to know about the “track sms” status,”users detailed” information and details of route and message. Detailed Information about single user sms status and current status of the client’s sms.